jOpenRay is new Open Source project aiming to improve the experience of thin clients administrators & users. - works on Windows, MacOS, Linux and Solaris. - 100% developed in Java. The source code of jOpenRay is available. You can browse it or checkout through SVN. 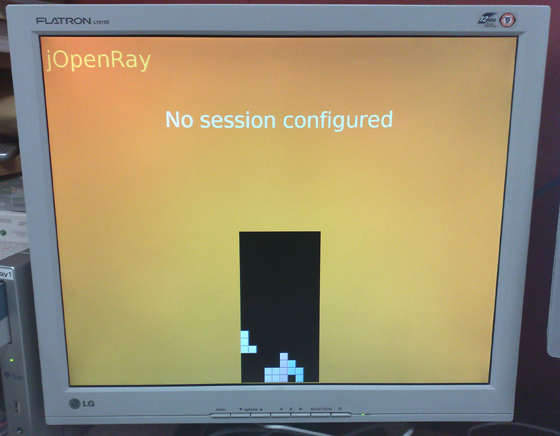 While cleaning a bit the source code, we added a splah screen for non configured session. The SSH adapter is working, now by inserting a card, you can be automagically logged on a server trhough SSH. The first release of jOpenDocument is available. The VNC adapter is not included in this version due to a lack of time to polish it. We just opened a dedicated google group, your suggestions and feedback will be appreciated. Here is a small video showing a remote Windows 7 desktop using RDP. 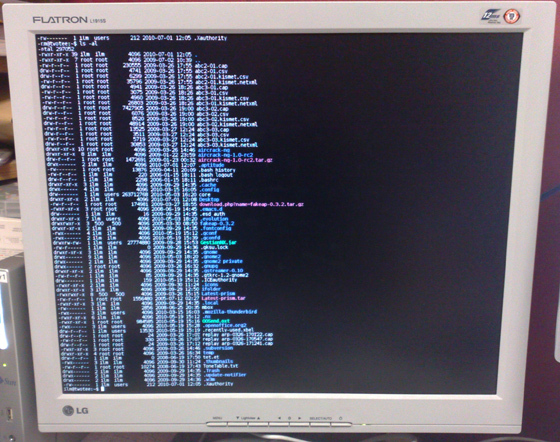 - VNC (RFB) connection to a low end server running Ubuntu 6.06. The jOpenRay server is running on a standard PC under Windows XP using the JRE 6.
jOpenRay doesn't require a dedicated network, all the devices were plugged on a 100Mb ethernet switch. The server was implemented using the documents provided at http://www.leonerd.org.uk/sunray/ . It took about 2 weeks to make it works nicely with RDP connections. It will require some days to fix some known issues (VNC performance, ...) and maybe some more to polish it before a release. We currently have no support for audio and encryption, it will require a better knowledge of the protocol.